Comic Books | The Cool Zone!!! 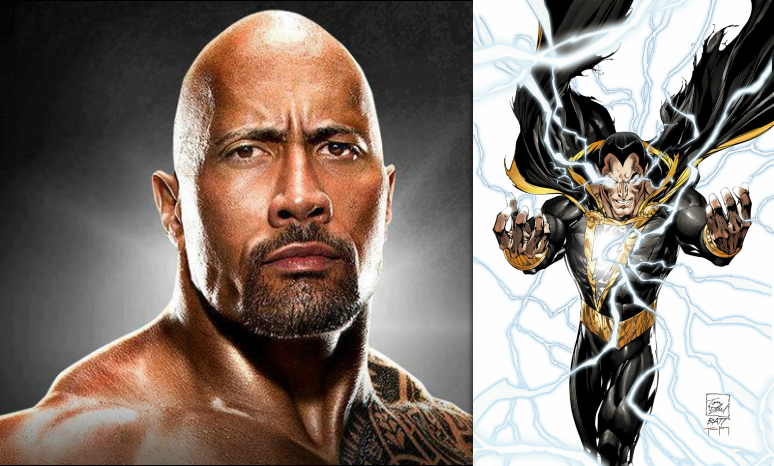 Dwayne ‘The Rock’ Johnson Confirms He Will Play Black Adam in Future Shazam Movie!!! Variety is reporting Darren Lemke (Turbo, Shrek Forever After) will write the script with Johnson and Hiram Garcia producing. The hero in all of this, Shazam, formerly known as Captain Marvel; nor his alter ego 12 year old Billy Batson, have been cast. First Tease Of New Batmobile For Man Of Steel 2 AKA Batman VS Superman!!! 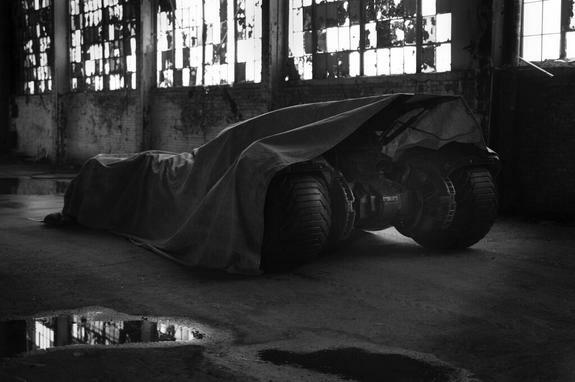 Man Of Steel Director, Zack Snyder has tweeted a teaser image of the new Batmobile for his upcoming Man Of Steel sequel which is tentatively being called Man Of Steel 2 and/or Batman VS Superman. As we all know by now, Ben Affleck is set to portray the caped crusader in this film and everyone and their mama has been chomping at the bit for any information or footage or pictures of anything to do with this movie. Snyder himself provided the masses with that as he has tweeted an image of the new Batmobile albeit Batman’s ride is conveniently covered by a large black tarp only revealing the back wheels and something resembling bat wings on the top, similar to the Batmobile from the Tim Burton directed movies. Don’t fret yet Batfans, cause Mr. Snyder said in the tweet, “Could be time to pull the tarp…Tomorrow?” So we may just get the full reveal and look of the Batman’s ride, this time tomorrow. 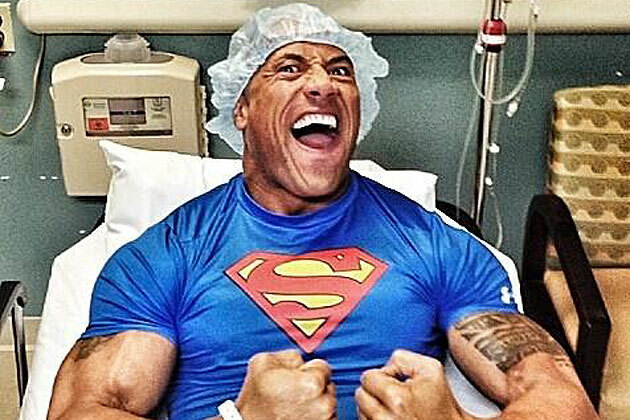 The Rock To Be The New Green Lantern In Batman Vs Superman/Man Of Steel 2?!!! filed under Actor, Actors, Athlete, Athletes, Batman, Batman Vs Superman, Comic Book Movies, Comic Books, Comics, DC, DC Comics, Entertainment, Hollywood, Instagram, Man Of Steel, Man Of Steel 2, Media, Movies, Superhero Movies, Superheroes, Superman, Warner Bros.
Jesse Eisenberg And Jeremy Irons Cast As Lex Luthor And Alfred Pennyworth In Batman Vs Superman AKA Man Of Steel 2!!! 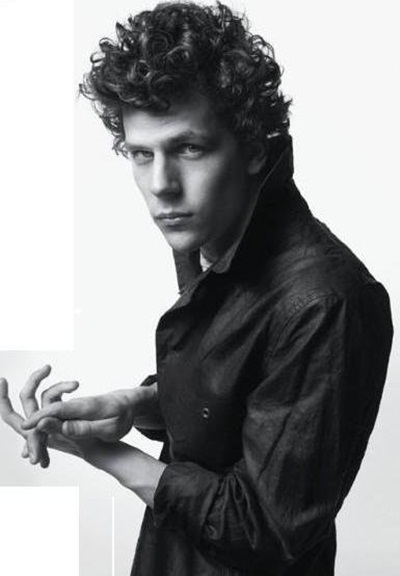 filed under Actor, Actors, Batman, Batman Vs Superman, Celebrities, Celebrity, Comic Book Movies, Comic Books, Comics, DC, DC Comics, Entertainment, Hollywood, Man Of Steel, Man Of Steel 2, Media, Movies, News, Superhero Movies, Superheroes, Superman, Warner Bros.
Jesse Eisenberg Cast As Lex Luthor In Batman Vs Superman/Man Of Steel 2 Movie!!! Jeremy Irons Also Cast As Alfred Pennyworth!!! Warner Bros. Pictures made a huge and shocking annoncement today as they have officially announced the casting of Academy Award nominated actor (The Social Network) Jesse Eisenberg as Superman’s arch-nemesis Lex Luthor and Academy Award winning actor (Reversal Of Fortune) Jeremy Irons as Alfred Pennyworth, the world famous butler, mentor and father figure to Bruce Wayne AKA Batman, who of course will be played by Ben Affleck. Responses are already heated about the casting of Eisenberg , who most believe isn’t the right fit to portray the vicious, dark, power obsessed maniac that is Lex Luthor. Meanwhile Jeremy Irons’ casting as trusty butler Alfred has been more well received as he is an established talented actor with a proven ability to have a strong range. The sequel to last year’s blockbuster Man Of Steel has had it’s fair share of criticism with many fans not approving of the casting of several of the roles including a large backlash when Affleck was initially announced as Bruce Wayne/Batman. Gal Gadot’s hiring to be DC Comics Superheroine Wonder Woman (who will at least make a cameo in the Batman Vs Superman film) was also met with dislike We can only wait and see how this will all turn out. And that wait will be a bit longer than originally anticipated as Man Of Steel 2/Batman Vs Superman has been pushed back from July 17, 2015 to May 6, 2016.
filed under Actor, Actors, Batman, Batman Vs Superman, Celebrities, Celebrity, Comic Book Movies, Comic Books, Comics, DC, DC Comics, Entertainment, Hollywood, Man Of Steel, Man Of Steel 2, Media, Movies, Superhero Movies, Superheroes, Superman, Warner Bros.